If you catch a glimpse of young girls in pink tights dancing along Orange Avenue, don’t think they are lost. Those pink-clad little girls are students of dance instructor Desiree Tess at Moxie’s Dance Studio in downtown Fort Pierce. 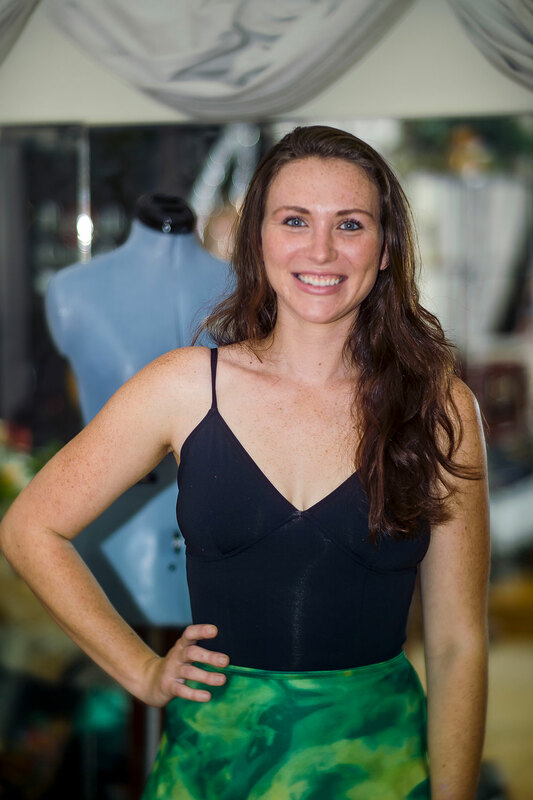 Tess had been teaching dance for more than a year at the studio when an opportunity arose to purchase the business about 2 1/2 years ago. Raised in the art of dance from the age of 2, Tess studied ballet and Irish step-dancing as a child, then added swing dancing as a pre-teen. Most of her life has been spent on her toes. The studio’s name came about when the owner of the Gates and Gates Building, across from Fort Pierce City Hall just west of the railroad tracks, was remodeling the building after hurricane damage some years ago and came across some items that indicated part of the building had been a speakeasy during Prohibition. Tess said she decided to name her studio Moxie’s based on her landlord’s discovery. The studio is an ambitious undertaking, but Tess’ years of dance instruction have helped form her into a very organized 23-year-old woman. She started taking ballet classes with Miss Debbie at Debbie’s Dance Center in Port St. Lucie at age 2. After a few years, Miss Debbie (Debbie Johnson) referred her to Madame Liliane Schambrie. The strict discipline that is the rule with classical ballet training has followed Tess all these years. That discipline was reinforced as she took up Irish step-dancing classes with Kathleen Rondeau of the Rondeau School of Irish Dance. A champion Irish dancer, Tess competed from the age of 5 under the tutelage of Kathleen Rondeau. Her last dance teacher, Chanda Rondeau Newman, has been helping her prepare for the extensive testing she will need to complete to earn her Irish dance teaching credential. Although her students at Moxie’s have been able to perform their steps, they will be able to compete in certified Irish dance competitions statewide and throughout the nation once she is credentialed. The testing is quite extensive with a written section, a dancing section that includes various reels and jigs as well as the hornpipe and treble jig, and a teaching section where students are brought in and the applicant must teach them a series of steps. In addition to the dance steps, an applicant has to know the music and beats for every required set dance for students. Newman has been invaluable as Tess has been preparing for the exam but she is not the only former teacher to help Tess in operating a successful studio. Tess also keeps in touch with her very first teacher, Johnson, regarding Moxie’s studio and her instruction. Pointing to mirrors that line the eastern wall of the studio, she said she acquired them from Johnson. “Miss Debbie gave me some of the mirrors from her former studio as well as some costumes,” Tess said. It takes a lot of hard work and many hours to keep a studio alive and well and Tess, the mother of Kian, age 3, seems to have the temperament for it. In a space at the back of the storefront, she has a rack of leotards and various dance attire as well as some gifts for girls interested in ballet. Tess started swing dancing at age 10 under the instruction of Mike and Michele Sucato in Jensen Beach. She said she loved her Lindy hop (another name for swing dance) lessons. She performed at Disney and in competitions. In addition to many years of highly competitive Irish dance competitions and competing in the Lindy hop, Tess has years of ballet performances under her belt. She danced in The Nutcracker yearly, starting out dancing in the Waltz of the Snowflakes and the Waltz of the Flowers and eventually in the starring role of Clara. This life of dance and music has enabled her to pass what she has learned on to her students. She has 50 ballet students and eight Irish dance students. She has about eight Lindy hop students, although her classes slowed as the holidays neared and she said she plans to regroup in March with those classes. Tess is also available for private lessons. Moxie’s has auditions at the end of January for its annual spring performance. Tess is working with the Sunrise Theatre and hopes to stage the ballet there. “This year we are doing The Magic Toy Shop (La Boutique Fantasque),” Tess said. “It is a cute ballet.” The show, she added, will be open to the public.